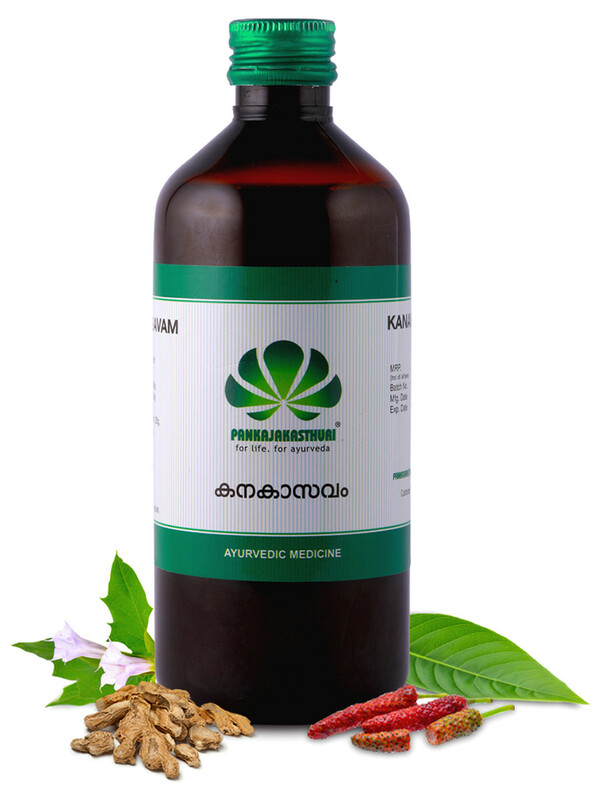 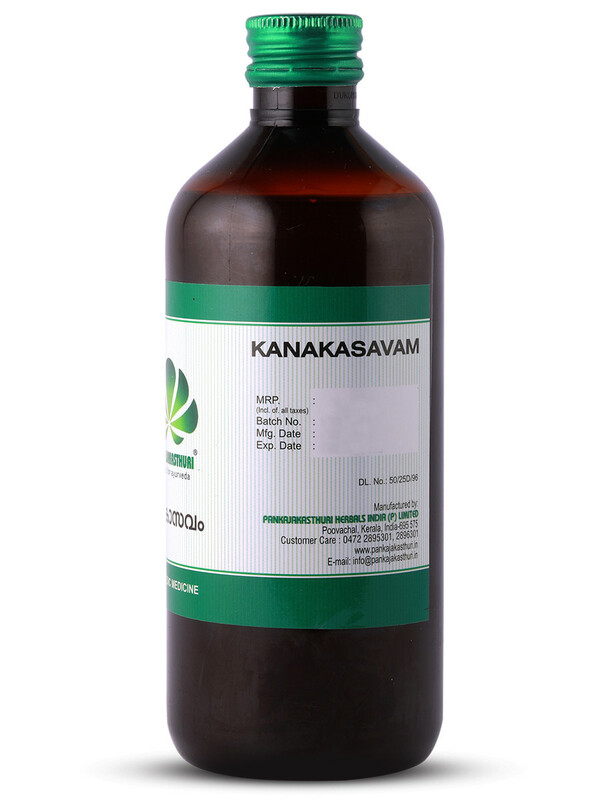 Kanakasavam is a liquid ayurvedic formulation with purified dhatura as its main ingredient which is an anti – allergic, anti – inflammatory, mucolytic and a powerful bronchodilator. 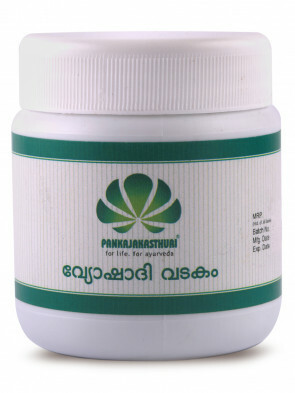 * It gives relief from an acute attack of asthma. 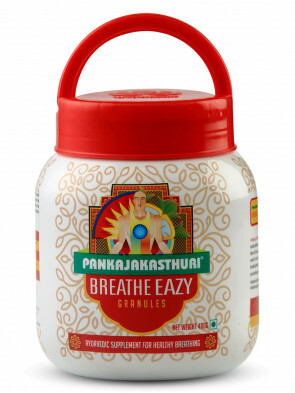 * It increases the airflow to the lungs by dilating and relaxing the bronchial passages. 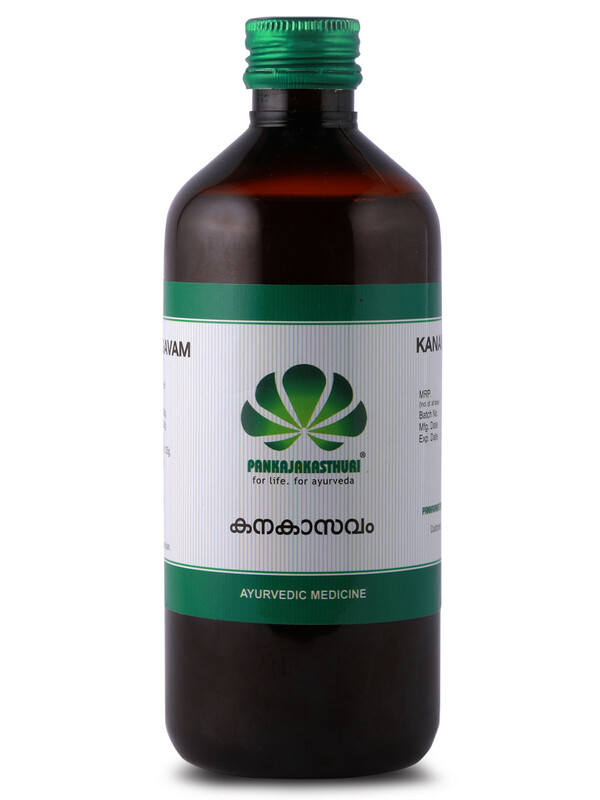 * It is an expectorant, induces sleep and is anti spasmodic. 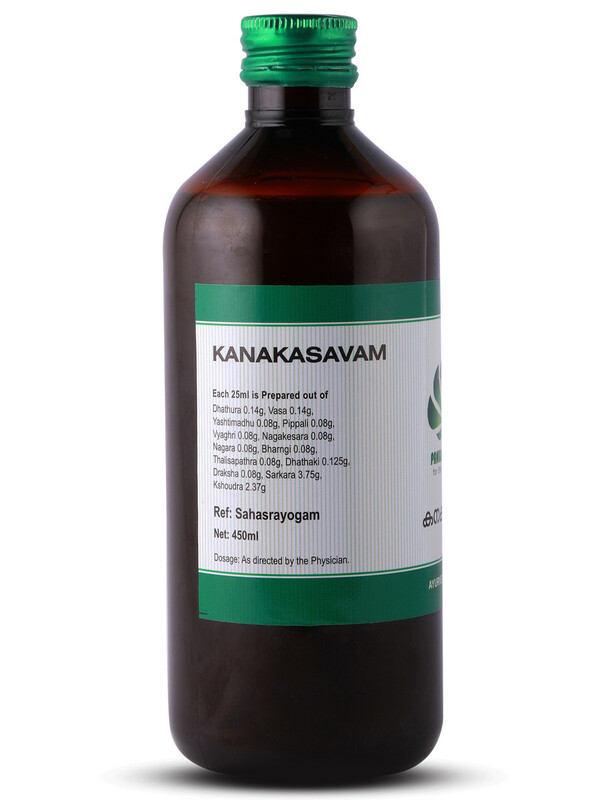 * The action of kanakasava is mainly on the kapha dosha, with the hot potency helping in liquefaction of the soilidified and obstructed kapha. 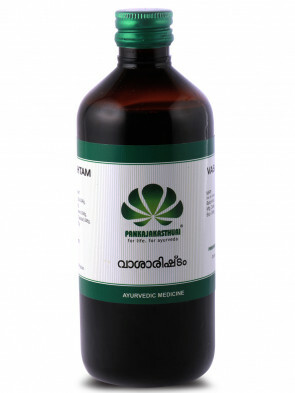 * This medicine contains sugar.